HomeCinemaMasalaBaar Baar Dekho trailer crosses 8 million views in 4 days! Baar Baar Dekho’s recently launched trailer has been receiving an overwhelming response. The trailer has garnered a whopping 8 million views within a short span of 4 days. 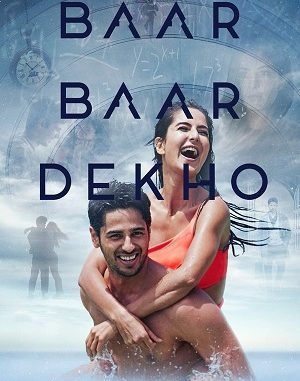 The makers of Baar Baar Dekho broke the marketing grammar and launched the song of the season, Kaala Chasma before releasing the trailer. The party anthem, Kaala Chasma had risen the curiosity for the trailer among the fans. Staying true to the expectation, the trailer has made Baar Baar Dekho one of the most anticipated movies of the year. The movie is making headlines for the sizzling chemistry and innovative plot of the movie. Sidharth and Katrina’s beautiful camaraderie has clicked with the audiences and has created immense buzz. The beautiful union of ace producers like Karan Johar, Farhan Akhtar, Ritesh Sidhwani, surely makes this movie, a must watch ! 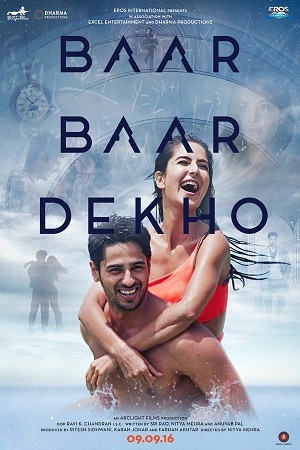 Baar Baar Dekho is produced by Excel Entertainment and Dharma Productions, directed by debutante Nitya Mehra. The film is scheduled for a worldwide release on 9 September 2016. Rajkumar Rao elated with response to Aligarh at MISAFF, Toronto.